Welcome, my name is Renae. I am very passionate about childrens' educational needs. My Elementary Education Degree and previous teaching experiences have enabled me to foster creative learning experiences which promote motivation, enthusiasm, and increase retention of skills for knowledge. My experiences as a teacher has instilled in me an explicit, systematic, incremental teaching approach. My lessons incorporate a variety of teaching styles so I can better meet the diverse ways students learn. I promote interactive learning through use of software, manipulatives, explicit objectives and thorough assessment techniques to enable the learner to gain knowledge step by step before progressing to next level of learning. Learning is a process by which i adjust content according to difficulty and complexity levels. I have experience in phonetics, thematic and literature based programs. I am looking forward to meeting with you and your child. Learning To Understand is based on learning the skills used to enhance understanding of what to do, how to do it, when to do it and why we do it. Our students learn skills to take responsibility for their own learning.Many students struggle in today's classrooms due to lack of understanding of a particular concept. Some students don't achieve because there is an element of their learning that wasn't addressed before moving on to the next concept. Most students don't know the why behind their learning. Most students don't know what they are suppose to do or how to accomplish the assignments. They often struggle with knowing what strategy to use. Learning to Understand works one on one with students. We collaborate with the student's teacher to find out the strengths and weaknesses of the student. We bridge the gap between what the student is working on in class into our one on one sessions with the students. We put the needs of the students' education, along with their learning style, interest, and background knowledge, to produce motivation and an understanding of concepts. Renae hasn’t set a schedule. 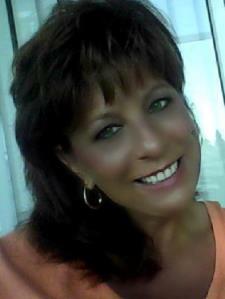 I am qualified to teach K-6 grades, as I am a former Collier County teacher with experience in FCAT subjects. I also hold a Bachelors of Science degree in Elementary Education. I am state certified as an elementary teacher, having taught kindergarten through 3rd grade. My materials are exciting, progressive and age-appropriate. I am experienced in teaching phonics because I have attended several collier county phonics in house seminars. I am currently up to date with spalding phonics and teaching phonics to kindergarten students. I have used several phonetically correct exercises to provide the sounds from their letter names, as well as combining a spiral teaching style for which to build upon in putting together words and then words to sentences. It takes a combination of skills — organization, time management, prioritization, concentration and motivation — to achieve academic success. Here are some tips to help get your child on the right track. Identify problem areas. Children need to be organized to succeed in school. For many students, academic challenges are related more to a lack of organization than to a lack of intellectual ability. Learning to organize time into productive blocks takes practice and experience. Track assignments . Help your child record how much time she spends on homework each week so she can figure out how to divide this time into manageable chunks.